All spills should be cleaned immediately. Start by blotting the spill using a clean absorbent cloth. If stain remains, please follow the care instructions below according to the type of fabric on your upholstery. To successfully clean fabric, it is important to determine the type of fabric and the recommended cleaning code. The cleaning code for your upholstery can be found on the law tag attached to the furniture. Always pretest an inconspicuous area of the upholstery before spot cleaning. If you have purchased an aftermarket Stain Protection System, please consult the retailer or Stain Protection Provider for cleaning instructions. Depending on several factors, many fabrics will go through a process of pilling. This is when small fuzzy balls appear on the face of the fabric. If you experience this, simply get a fabric shaver from a fabric store and “shave” the face of your fabric. It may require a couple of treatments, but after that the fabric will not further pill. Never remove cushion covers for separate dry cleaning or laundering. Do not use bleach or any tumble method cleaning service as this may destroy the backing of the fabric, shrink, or otherwise damage the upholstery fabric. Keep your furniture and family safe from fires caused by careless smoking. Do not smoke when lying down or drowsy. 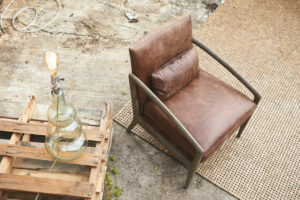 Always check the furniture where smokers have been sitting for improperly discarded smoking materials as ashes and lighted cigarettes can fall unnoticed behind or between cushions, and under furniture. Do not place or leave ashtrays on the arms of chairs where they can be knocked off. 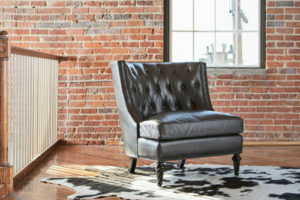 Remove immediately any glowing ember or lighted cigarette that has fallen on furniture as smoldering smoking materials can cause upholstered furniture fires.